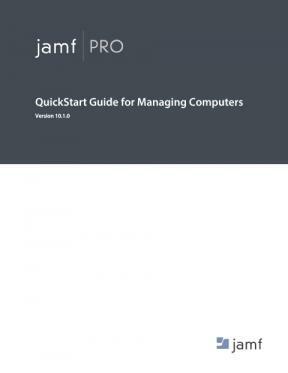 Managing computers with Jamf Pro is based on eight tenets—Inventory, Imaging, Patch Management, Software Distribution, Remote Control, Settings and Security Management, License Management, and Usage Management. Use this guide as a lesson-based workflow for each tenet. Version 10.1.0.